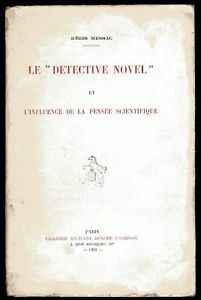 On the 24th of April, Dominique Jeannerod presented at the Bath Conference, Crime Fiction, Darkness and Desire a paper titled Quantifying the thrill : The point of distant-reading crime fiction. This paper considered the crime genre in its essentially transnational dimension and sought to provide a methodology to assess and compare the success of crime fiction in international circulation. To that effect, it proposed to reflect on the processes of translation, imitation and appropriation of foreign crime fiction in post WW II Europe, in a crucial period in the history of the genre. The fascination for American hard-boiled fiction and 1940’s cinema in continental Europe, as reflected there by authors, markets, publishers and readers has in turn contributed in shaping the genre internationally and has led to its 1960’s evolution and re-politicization. But how is it possible to reliably identify and quantify such processes? How is it possible to navigate and manage the profusion of published titles exemplary of such circulation, in order to give an accurate and representative picture of the international exchanges at play in this particular period? What are the most appropriate research methods and the best digital tools that can support this type of research? How can the relevant data be collected and archived, and how can the collected data be visualised and shared? Stemming from an AHRC funded research Grant on the Visualisation of Crime Fiction circulation conducted at the University of Belfast, and based on the 130 000 entries in the catalogues of the only Public library devoted to Crime fiction, the Paris-based BILIPO, this paper offered to apply Franco Moretti’s approach (distant reading, maps and graphs) to quantifying the popularity of Crime Fiction in continental Europe. What was the percentage of foreign popular fiction published in a specific country during a specific year? How did this develop in the course of a certain period of time? What was the share of the different national/regional production? How did this evolve over time, and how is this reflected in the apparition of national schools of crime fiction? When did novels hailing from specific national/regional areas become suddenly popular?By raising such questions and related ones the proposed paper hopes to highlight the potential of quantitative and visual approaches in renewing the study of crime fiction in an international context. It might contribute elements for the understanding of the fascination of crime fiction in a trans-cultural context, and how the genre succeeds in captivating large international audiences.